born in 1988 in Białystok thanks to Jola and Adam Ludwik. In 2007 together with Seba Łukaszuk made his first very amateur animated film entitled "Do unto others as you would have others do unto you". Later he started his adventure with animation studio of Poznań ASP. He finished it only in 2012. Then he created animation, slightly less amateur. 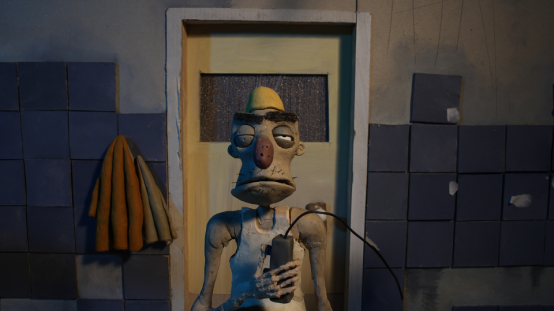 In 2012 he took part in competition for puppet animation organized by Łódź Se-ma-for. Next, he returned to Białystok and in the warmth of his family house with financial support of Se-ma-for he created his plasticine animation "ON/OFF", almost professional now. Finally Se-ma-for became his house for good in 2011 when he started work as animator at production of "Flapper the Hare", fully non-amateur now.